THE FUTURE 1 is available now ! THE FUTURE 1, comes with YOUNG authorise Y-ENERGY Structure. YOUNG is launching the professional shoes for International Players. Footwear for Professional Players, THE FUTURE 1. After 23 years of perseverance and dedication, the brand YANG YANG managed to stamp their mark around the world. With the goal to serve the wider community of sports' lovers through the eye of fashion and future, Ruby Glamour Sdn. Bhd., the mother company of the brand YANG YANG decides to reintroduce the brand YANG YANG and name it YOUNG. YOUNG is the next generation brand evolved from YANG YANG. YOUNG brings about new dream, new hope and a brand new direction. After 23 years of hardwork, YANG YANG boost it’s business to over 40 countries in the world. With the goal to serve the wider community of sports' lovers through the eye of fashion and future, Ruby Glamour Sdn. 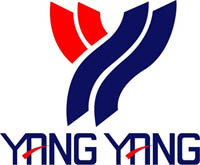 Bhd., the mother company of the brand YANG YANG decides to reinforce YANG YANG’s brand logo and name to YOUNG. Something big is coming. Stay Tuned. Kento Momota 🇯🇵 Blocked net shot against Dato Wira Lee Chong Wei. YANG YANG Sponsored Club, Eric Racket Club. Congratulations to Yang Yang players achieve excellent results in local tournaments. Keep moving forward guys! Malaysia Badminton Association President with Dato Wira Lee Chong Wei 李宗伟 after Commonwealth Games 2018.